Disney•Pixar’s “Coco” is a sweet movie with some memorable music. Starting soon that music will be entertaining guests at Epcot. 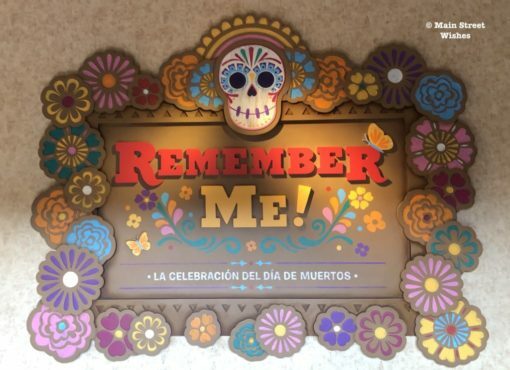 Disney has announced that on March 6, the musicians that play in the Mexico Pavilion at Epcot, Mariachi Cobre, will be joined by Folklorico dancers and a hand-crafted puppet of Miguel Rivera from “Coco.” The new show will tell Miguel’s story, which of course includes his love of music and his family. Mariachi Cobre will also continue to play traditional mariachi music. They play throughout the day and you can check the times on the website. The band is definitely worth a stop when you see them playing. They get the audience involved and it’s a fun time for everyone. Disneyland started a “Coco” inspired show like this a year or so ago. Guests were pretty excited about it and I have a feeling it’s going to be the same for the show in Disney World. Are you excited to catch this new show in Epcot? This was a cute movie, great idea bringing the music to the Mexico Epcot Pavilion.